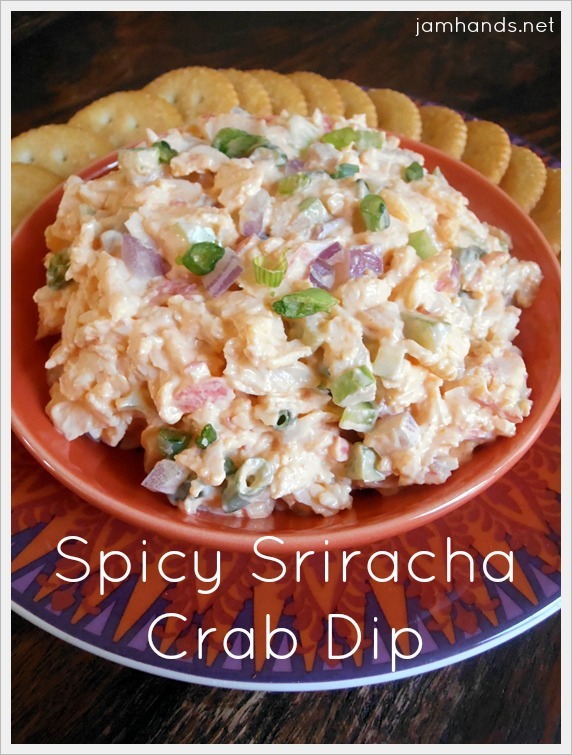 A local grocery market I frequent carries a Spicy Sriracha Crab Dip that I love but as it is a solid thirty minute trip into town to pick some up, I was determined to make it at home. 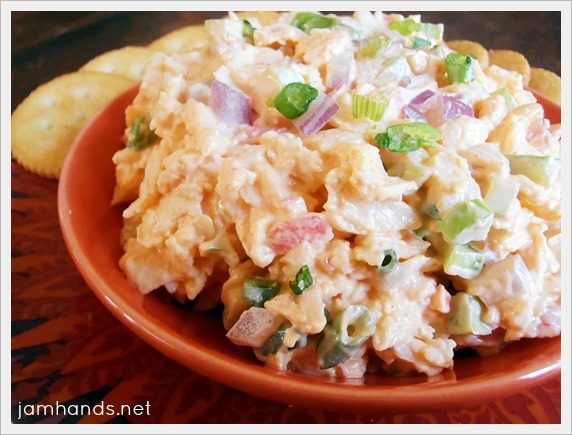 There are two components to this chilled dip that give a spicy flavor, Sriracha sauce and fresh jalapenos. You can tweak this to be less or more spicy to your preferences. Enjoy! 1. Prepare first five ingredients and place in a large bowl. Add the mayo, sour cream and sriracha sauce. Taste for seasoning and spiciness. Chill for several hours to develop flavors. Serve with crackers. Recipe by Jam Hands. Sharing this recipe at the following fun link parties. We have some crab in the fridge that needs to be eaten and I've got everything else as well. I may have to bust this out for the hubs. This looks amazing!! Need to try this! Oh, I love how simple this is AND you used two of my favorite things: crab and Sriracha. Yum! What a great dip. Love all the heat from the sriracha and jalapenos. Thanks for sharing on Thursdays Treasures.